Well, not exactly on the Valentine's Day itself but few days ahead. My mom was visiting but she had to fly back to Bali on 13 February, so we booked the room before Feb 13. This was the second time we stayed in W Hotel Singapore and the suite was gorgeous. And the marina view... I could look at it all day. 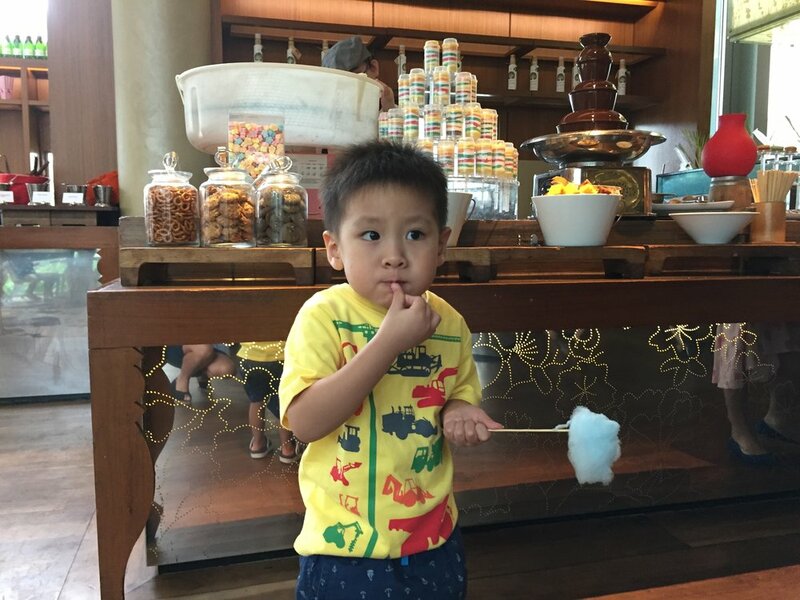 One of the highlight of the stay was to see El tried his first cotton candy.